This is such a fun project! Though it’s been traveling the world for a few years, this is the first I’ve heard of it. 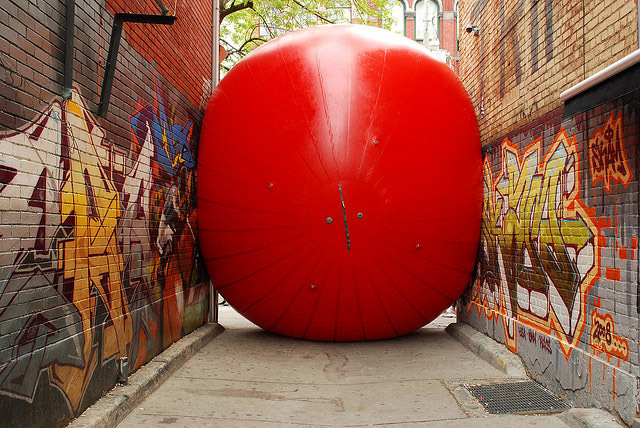 The RedBall Project by New York based artist Kurt Perschke, consists of a series of temporary installations within a city over a span of a couple of weeks. 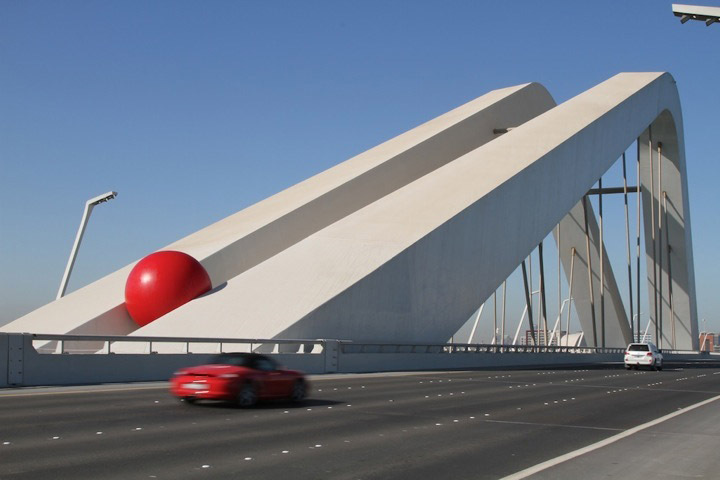 Perschke finds interesting, and somewhat humorous, locations (though, a giant red ball in any location automatically evokes a certain amount of humor) that are often taken for granted. The previously neglected spaces come to the foreground highlighting the nooks and crannies of urban life. This entry was posted in Art, Event, Fun, Interaction Design, Just Plain Cool, Street Art, Stuff We Like. Bookmark the permalink.